Cyril Northcote Parkinson, a British historian and operations researcher, penned this extreme example of decision-making in meetings in his book Parkinson’s Law. Paraphrasing the Wikipedia entry, the powerplant is so expensive, the sums of money are hard to frame. Electricity generation is also quite complicated. As a result, council members lazily skip over the seemingly impenetrable problem in the meeting, deferring to the team managing the project. The bike rack, on the other hand, is tangible. Each member has used a bike rack, and an opinion on which type is the best. In addition, the money at stake rests within a typical person’s spending. So, everyone involved wants to inject their point of view and derive satisfaction from having added value. The discussion drags on and the majority of the meeting time is spent on a relatively trivial topic. It’s easy to be swept up in the trivial and fun stuff, starving the big issues for the time and consideration they merit. Though the differences between projects never reach the extremes described in Parkinson’s hypothetical council meeting, the same behavior occurs. Sometimes I find myself in a conversation I’ve started and realize I’m focused on the bike rack, not the powerplant and wonder how I got there. I’ve seen a few different ways of trying to prevent this corollary to Parkinson’s Law from taking effect, including allocating differing time slots to particular agenda items, placing a stopwatch or clock at the center of a conference room, or providing a quick reminder at the start of a meeting about the relative importance of topics. Ultimately, I think awareness and mindfulness during the meeting is the best antidote; and a culture that welcomes a Parkinson’s Law critique. 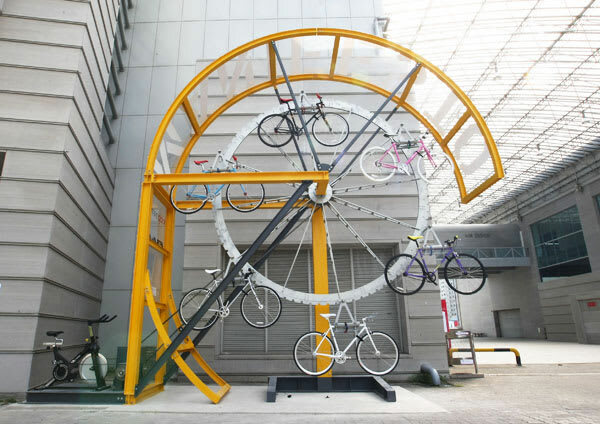 Have you seen the bike effect at your company? How do you combat it?